As seen on BBC 2’s The Restaurant Man 7 Bone Burger Company first opened its doors in September 2013. Owned and run by two best friends Richard Zammit and Matt Mollicone with the aim to create an edgy burger restaurant in Southampton. Richard and Matt knew that they needed to have the technology in place to be able to take card payments and it was imperative to have this all set up ready for when the restaurant opened on day one. 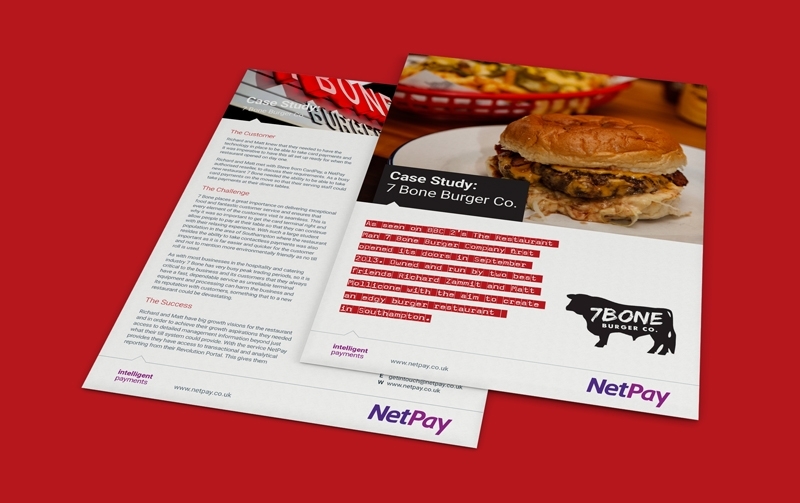 Richard and Matt met with Steve Portwood from CardPay a NetPay authorised reseller to discuss their requirements, as a busy new restaurant 7 Bone needed the ability to be able to take card payments on the move so that their serving staff could take payments at their diners tables. 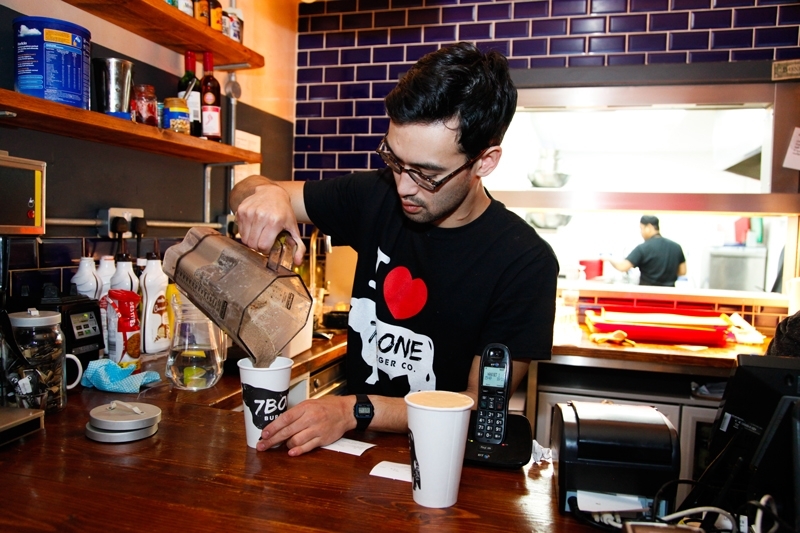 7 Bone places a great importance on delivering exceptional food and fantastic customer service and ensures that every element of the customers visit is seamless. This is why it was so important to get the card terminal right and allow people to pay at their table so that they can continue with their relaxing experience. With such a large student population in the area of Southampton where the restaurant resides the ability to take contactless payments was also important as it is far easier and quicker for the customer and not to mention more environmentally friendly as no till roll is used. As with most businesses in the hospitality and catering industry 7 Bone has very busy peak trading periods, so it is critical to the business and its customers that they always have a fast, dependable service as unreliable terminal equipment and processing can harm the business and its reputation with customers, something that to a new restaurant could be devastating. Richard and Matt have big growth visions for the restaurant and in order to achieve their growth aspirations they needed access to detailed management information beyond just what their till system could provide. With the service NetPay provides they have access to transactional and analytical reporting from their Revolution Portal. This gives them complete visibility of their transactions and the ability to see and anticipate their peak trading periods, monitoring the emerging trends as the restaurant grows in popularity. “The information that NetPay’s Revolution portal has allowed us to track our businesses growth and manage our staffing levels. Our objective is to open a chain of restaurants and with the analytics NetPay provides us we have had the detailed information that has enabled us to open our 2nd restaurant with plans for more before the end of 2014”, said Richard Zammit, Owner. "Do not overlook your merchant services requirements, if you are starting out it is important to ensure that these services are included in your plans and that you engage with a supplier early on. We would highly recommend CardPay and NetPay to other businesses, they were there to help us install and set up our terminal making sure that we could take payments from day one. Steve and the technical support team are always on hand if we have any questions giving us great peace of mind around the clock”, said Richard.